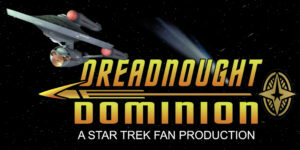 Last week, we took a look at the fan series DREADNOUGHT DOMINION, which debuted in early 2015 and returned in late 2016 and 2017 with two additional episodes that crossed over with STARSHIP VALIANT and Vance Major’s MINARD saga. Now Dominion is set for yet another return, and has launched a brand new GoFundMe campaign attempting to raise $1,500 for a full-length (two 15-minute episodes) fan film. 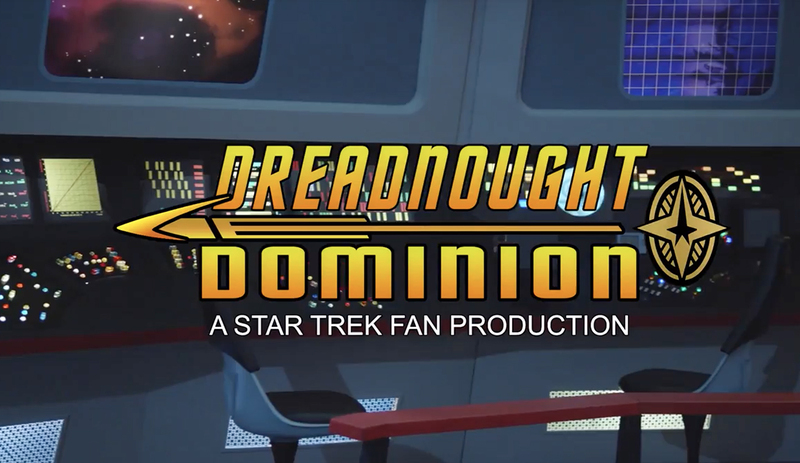 One of the most distinctive things about Dreadnought Dominion (in addition to the deaf communications officer and the use of a tri-nacelled Federation-class dreadnought design from the Franz Joseph Starfleet Technical Manual from the 1970s) is where the series has been filmed. 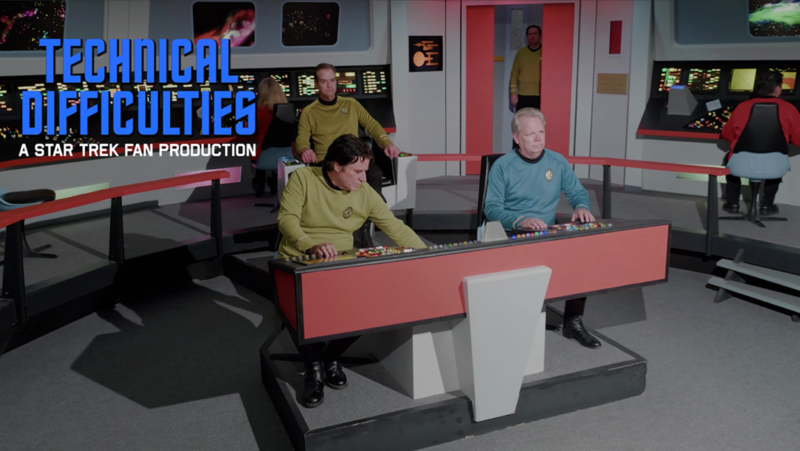 The first two episodes and the most recent two vignettes were each filmed on the TOS sets in Kingsland, GA, previously used exclusively for the fan series Starship Farragut and Star Trek Continues. No other fan production was ever allowed to film there. But Dominion filmed there years earlier and was also the first fan production to film on those sets just as the new owner, RAY TESI of STARSHIP REPUBLIC, was opening them up to other fan productions. How did they manage that…? 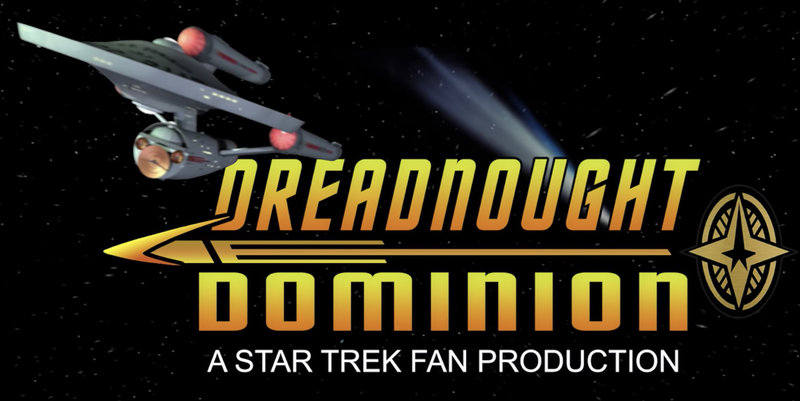 One of those “hidden gems” of Star Trek fan films is the series DREADNOUGHT DOMINION. Not as fancy or polished as the “big guns” like Star Trek Continues or New Voyages, Dominion is one of those mid-tier productions that has benefited from using TOS sets from other productions (or faked it when they weren’t able to) and put a lot of heart and dedication into producing labors of love. I also fancy this particular fan series because it’s the only one to feature the Federation-class dreadnought starship design from the Franz Joseph Starfleet Technical Manual from the 1970s. I always loved that 3-nacelled design with the hangar bay on the front! 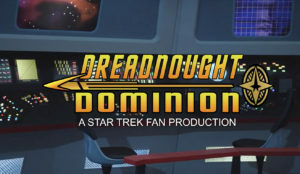 Dreadnought Dominion release two episodes in 2015, each filmed on the sets used at the time by Starship Farragut and Star Trek Continues (the only other fan production to ever use those sets). 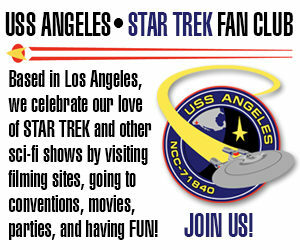 Their third episode wouldn’t come out until the end of 2016 and was actually a crossover with Starship Valiant. You can read more about all of that in this blog. Ten months later, Dominion crossed over again withStarship Valiant but in the Mirror Universe as part of the MINARD saga from Vance Major. That’s covered in this blog.